We have vast experience in working with modular homes and are certain that we can find one that will best meet your needs in Mocksville, NC. When creating the home of your dreams, there are many different factors to consider. Some of these factors include style, size, cost and energy-efficiency. Modular homes are highly comparable to traditional homes in that they come in many different sizes and styles and with options that are energy-efficient. They also provide you with a way to create the home of your dreams at a fairly low cost. In fact, modular homes can even end up being less expensive per square foot than a traditional home would be. In addition to being cost-effective, modular homes have some other advantages that may make them your preferred choice for a home. For example, modular homes are durable, often times lasting as long as a traditional home—meaning that you end up with a home that is of good quality, yet less expensive to build. Modular homes are built in different sections in a factory, which ensures that your new home will be protected from the elements of weather during construction. It also means that upon completion at the factory, your modular home will be brought to your site and joined together—which means that your home will be ready for moving into much faster. If you are considering modular homes as an option in Mocksville, NC, contact us at 1st Choice Home Centers. We have vast experience in working with modular homes and are certain that we can find one that will best meet your needs. Let us assist you in creating the home of your dreams! 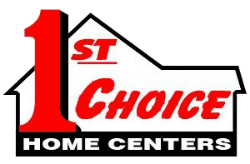 1st Choice Home Center offers quality modular homes in Statesville, Troutman, Taylorsville, Mocksville, Maiden, Lincolnton, Conover, Newton, Union Grove, Hickory, Harmony, Mooresville, and surrounding areas of North Carolina.